The median home value in Mableton, GA is $260,000. This is higher than the county median home value of $213,500. The national median home value is $185,800. The average price of homes sold in Mableton, GA is $260,000. Approximately 64.45% of Mableton homes are owned, compared to 26.94% rented, while 8.62% are vacant. Mableton real estate listings include condos, townhomes, and single family homes for sale. Commercial properties are also available. If you see a property you’re interested in, contact a Mableton real estate agent to arrange a tour today! Learn more about Mableton Real Estate. Beautiful 1 owner home! Open layout has gorgeous hardwood floors & crown molding on main! Updated eat-in kitchen w/high-end gas range & granite, custom cabinets & island flows into bright 2 story great rm w/marble surround FP! Formal living & dining. Spacious master w/sitting rm, big WIC, sep tub/shower & new tile floor! Loft & 2 sunny BRs up. Fin terrace level has add'l living area w/wet bar plus 2 BRs & full BA! Screened porch & cvrd deck overlook huge yard! 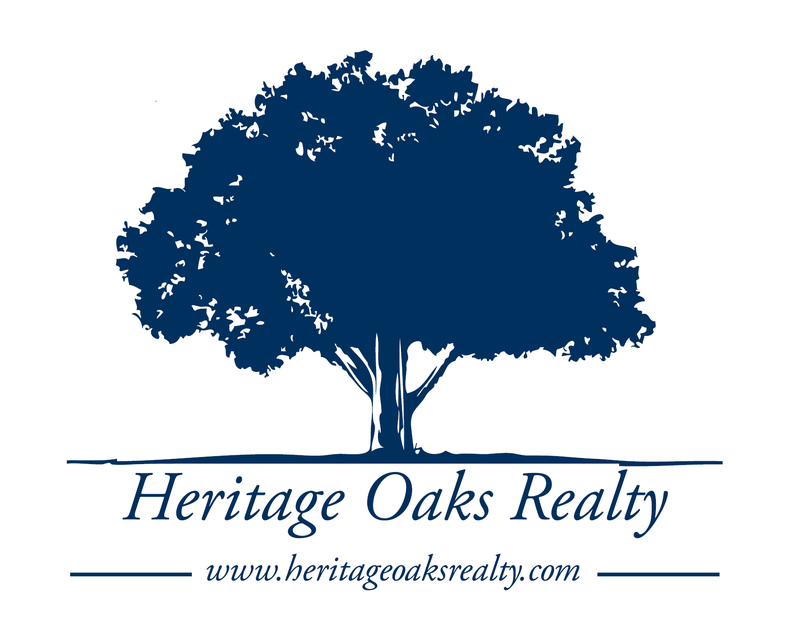 Active community w/swim/tennis, 14-acre lake, walking trails & playgrd! Mins to I-285, airport & Suntrust Park! Location, Location Location! This brick beauty is located in the highly sought after Vinings Cove Neighborhood! Nestled in a cul-de-sac, this beautifully maintained home offers a private backyard on almost half an acre yet provides convenient access to airport, downtown & inner perimeter, sporting events, restaurants & shopping. As if that wasn't enough, this home features major upgrades including hardwood floors on the main, stairs and hall. 2 story living area offers tons of light. Upgraded kitchen and baths incl designer cabinetry and stone accents. Expansive Owner's Suite with separate closets and generous secondary bedrooms. New paint through out! The unfinished basement offers lots of room for expansion and has been plumbed for an additional bath. Owner has taken impeccable care of this home! Situated on a private Cul de Sac lot with a short walk to the 14 acre lake, walking trails, pool, playground and tennis courts * Entertain from the open kitchen with plenty of counter space, cabinets and eat-in kitchen opens to sun filled family room and private walk out patio * Relax in the master suite with sitting area, spa bath and walk-in closet *Spacious Secondary Bedrooms *Close to Suntrust Park, Silver Comet Trail and Airport *Roof installed in 2015, new upstairs AC unit, new interior and exterior paint. SPACIOUS HOME on quiet cul-de-sac, minutes from the coveted Silver Comet Trail. Highlights include hardwoods on main; fireside great room w/wood-paneling & built-ins; large kitchen w/SS appliances+b'fast nook; separate living/dining rooms; sunroom w/French doors+skylights. Master bedroom has trey ceiling, sitting area+updated bathroom w/granite counters+tile shower. Large secondary bedrooms; one w/loft space. Huge deck w/pergola, hot tub & private views. Fenced yard w/firepit & fountain. Amenities include pool, tennis & playground. Easy access to EW Connector & I-285. Adorable home located near Heritage Park with updated kitchen, newer roof, new deck, all appliances remain. Man cave in basement with pool table that stays for you to enjoy! Granite in kitchen with updated paint. Built-ins in living room with stone fireplace. Updated vanities in both upstairs bathrooms. Honey stop the car! This John Wieland home nestled in a quiet cul de sac has been immaculately maintained and will not last long. All major systems less than 3 years old!! (Furnace/AC/ Water heater). Updated electrical. Newer windows. Hardwood downstairs. Granite and stainless steel in kitchen. Large master bed with sitting area. Renovated master bath. Washer dryer upstairs. Huge brick patio. Minutes to Silver comet trail, parks and all the amenities Smyrna/Vinings have to offer. 1 yr Home warranty Included! Gorgeous Craftsman style home built by John Wieland in a Gated Community. Southern style front porch welcomes you into the home highlighting open floor plan w/built ins, fireplace, crown moldings, & deck overlooking pvt fenced-in backyard. Large dining rm w/ beautiful trims flowing into spacious kitchen w/ SS app, granite countertops & breakfast nook. Master Ste attached to spa-like bath w/ high cathedral ceilings, jacuzzi tub, sep shower, double vanities. Big bedrooms & bonus room for entertainment. Unfinished basement ready for your ideas. Pool, Tennis & Clubhouse. Fabulous, 4 bdrm, 2.5bath, master on main home in Vinings Vintage Swim/Tennis Community. Great location! Minutes to shopping dining, airport, Braves Stadium, Interstates and more! Welcoming 2 story foyer with sitting room/office and large dining room. Kitchen with granite, stainless appliances and hardwood floors opens to Breakfast area and Great room with fireplace. Large bedrooms with lots of closet space. Tons of living space and natural light throughout this beautifully maintained home. Large, private, well-manicured backyard with patio. Enjoy relaxing or entertaining in your new home! HONEY STOP THE CAR! This gorgeous, spacious, breathtaking home is awaiting you. The grand 2-story entrance boast of a formal dining area and bonus room which would be perfect for an office or den. Like to cook, well you will enjoy this open chefs kitchen that overlooks the family room. Guest will enjoy the roomy bed/bath on the first floor while you unwind and relax in your mater room retreat which includes a whirlpool tub, bonus room, and his/her closets, you'll always feel like your on vacation. Entertaining will be a blast in the FULL-FINISHED basement/media room. Total Rehab. All New Everything. High End Kitchen with White Cabinets, Granite Counter Tops and Stainless Steel Appliances. Each Bedroom is a Suite with Bathroom. Master Features Walk In Closet Plus Double Vanities. Hardwood Floors. Recessed Lighting. Awesome! TURN BACK THE CLOCK! Come see this beautifully renovated home on a quiet cul-de-sac street. Welcome your guests through a new front entry deck. You will enjoy the HUGE living room that's perfect for entertaining! The kitchen is open to the dining/keeping room where a new stone facade fireplace awaits you. This move in ready home has tons of upgrades: NEW HVAC, New Hot Water Heater, New Electrical box, all NEW Kitchen, brand new bathrooms with all new tile, vanities, plumbing fixtures, new lighting and paint throughout. Roof is 1 year old. Beautiful hardwood floors have been refinished and a spacious basement that provides great storage! OPEN PLAN with tons of natural light on wooded lot, just minutes from the Silver Comet Trail & EW Connector. Highlights include a vaulted fireside family room; vaulted dining room; granite kitchen w/SS appliances, dining room pass through, tile floor & breakfast area w/bar top, wall of windows & skylights. Master retreat has a vaulted ceiling, Juliet balcony, walk-in closet & updated bathroom w/tile floor. Spacious secondary bedrooms. Finished basement w/open entertainment spaces & storage space. Rear deck overlooks large level fenced backyard w/firepit & patio area. Well-Maintained Home w/4BR/2BA! Freshly Painted Int & Ext Paint, Carpet has been professionally cleaned! Screened-Porch overlooks large fenced backyard! Finished lower level offers more living space w/FR, BR, Full BA & access to patio! Spacious Master BR, Master BA w/sep vanities, linen closet! Outside storage rm! Double covered carport! Newer driveway! Shed in backyard perfect for tools/lawn equipment! Washer/Dryer, Kitchen fridge remain! Minutes to Silver Comet Trail, I-285, Suntrust Park, Atlanta, etc. One owner home! Hurry, wonât last long! UPDATED 4BD/2.5BA IN VININGS ESTATES SWIM & TENNIS. RECENT UPGRADES INCLUDE PAINT, CARPET, APEX TRIPLE PANED WINDOWS ($10K UPGRADE), HVAC's (2018)WATER HEATER. HOME FEATURES UPDATED KITCHEN W/ SS APPLIANCES, WHITE CABINETS & STONE COUNTERS. KITCHEN OPENS TO LARGE GREAT RM W/ FIREPLACE. SERENE BACKYARD PATIO IS THE PERFECT PLACE TO RELAX IN YOUR PRIVATE FENCED BACKYARD! UPDATED MASTER BATHRM FEATURES A GARDEN TUB & SEPARATE SHOWER, & A DOUBLE VANITY. COMMUNITY FEATURES RESORT LIKE AMENITIES 3 POOLS, GYM, 2 CLUBHOUSES, 8 TENNIS COURTS, BASKETBALL, PLAYGROUND & TRAILS. Beautiful and rare! Smartly designed ranch on nearly .5 acre lot w/ private master suite & 2 bedrooms on the main. Huge upstairs flex-suite w/ full bath - perfect for a guest room, secluded home office or an excuse to buy a 75" in TV for movie nights. Beautiful granite counter-tops in kitchen w/ view to great room. Freshly painted interior, exterior trim touch ups & professionally cleaned to welcome its new owner. New roof installed and entertainment deck added to patio in 2016. Less than 10-mins to I-285 & nearly 20 mins to downtown ATL, this is a must-see. This beautiful 9.27+/- acres (2 tax parcels- must be sold together) in a neighborhood setting with bungalow style home. Home is currently rented. Do not disturb tenant. This property is perfect for an extra income or would be an excellent property for development. Several subdivisions and Multifamily in the area. Super Location, very close to Charlie Brown Airport and great shopping. Less than 3 miles to I-20 and approximately 12 miles from Downtown Atlanta and all the exciting city events. Cobb County is where Real Living Begins! This Mableton two-story townhome offers a gas fireplace, a deck, and a one-car garage. Upgraded features include fresh interior paint throughout and new carpet in select rooms. Home comes with a 30-day buyback guarantee. Terms and conditions apply. Move in ready! $5,000 in buyer incentives w/approved offer. This basement home features 4BR/3BA an Lg open floor plan with a chef-inspired kitchen w/SS appliances & granite countertops. The kitchen overlooks Great Room/Sep DR. Upstairs you find the master suite with a spa-inspired bath, sep shower, soaking tub, water closet & walk-in closets. The additional bedrooms all have large closets. Home also features a 2 car garage, professional landscaping, and a 2-10 Builders Warranty. Come check out this rare find! It's a gorgeous 3 story, 5 bed/3.5 bath home. Features of the home are a brand new screened-in back porch, less than a year old roof, and an open concept living/kitchen area on the first floor. The master bedroom includes a spacious sitting area, walk-in closet, and a his/hers vanity. Located on the third floor is a large space great for a home gym, movie room, or private guest area and has a full bathroom. The screened-in porch looks out onto the backyard, which is perfect for dogs or kids to play around. Stunning Craftsman Style Home in sought after Providence Neighborhood. Totally Renovated, Re-engineered Custom, Gourmet Kitchen/Dining Area with Viking Appliances and all the tech-savvy bells and whistles! Spacious Master-On-Main complimented by a gorgeous open floor plan. Huge ensuite bathroom featuring a fabulous, signature JW whirlpool tub with large walk-in closet. Finished basement with wet-bar, fitness gym and excellent storage. This home boasts a beautifully, landscaped and fenced yard with newly re-built upper deck and covered under-deck below. The community features gated entrances, two swimming pool areas and tennis courts and sidewalks on both sides of the street! Original John Wieland build! Simply Breathtaking Townhome, professionally designed w/ many unique upgrades. Enjoy effortless, entry level Townhome Living with quartz kitchen countertops,SS Appliances, water filtration systems in upgraded kitchen w/ additional cabinetry for maximum storage. Gleaming hardwoods on the main w/ sliding doors to patio accent this luxury home. Master Bath is fully upgraded w/ quartz counter tops, double bowl sinks, infrared sauna, marble floor & shower, built in closets as well! Easy access to the Interstates, Silver Comet Trail, SunTrust Park, Groceries, Shopping, etc. This unit is a MUST SEE!